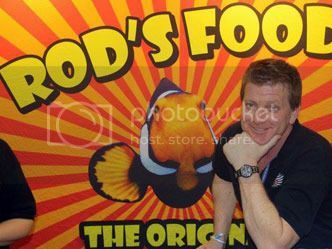 When I first signed up for this forum, I kept hearing about people singing the praises of Rod's food. After searching far and wide at the LFS in Portland as they were sold out, I finally got a packet to try from The Premium Aquarium when Garrett had his shop out of a garage. I find this food great to get even the pickiest of eaters to eat. It has been very useful when I quarantine a new fish and get them eating. The Reef Aquarium Vol 1 from Delbeek/Sprung around 1995. Already selling a few coral frags in the late 90s, and being one of the first breeders of Banggai cardinal fish, requests for captive banggai as well as my corals were coming from all across the nation so Rod's Reef was started in the basement. Less than 2 years passed before the owner of a large (at the time) phytoplankton company heard of what I was doing and came to visit. With my knowledge of the hobby, and my construction background, DT's offered 49% of their company. While at DT's, Rod's Reef as well as my construction company ceased to exist. The Coral farm was somewhat neglected, but the fish breeding started to take off. 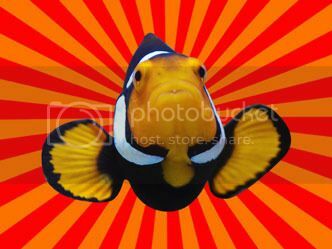 Our world famous Onyx clowns were producing lots of babies as Rod's Food continued to evolve. After a few years of building a new facility and watching green water bubble, I decided phytoplankton farming was not for me. I left DT's to help a local store get back on its feet before getting my own retail thing going again around 2003-04. Rod's Reef was again one of the premier coral farms to shop at in IL and also known for breeding fish (9 species). Rod's Food - still evolving- also helped draw customers from Chicagoland out into the Cornfields of DeKalb county, IL. 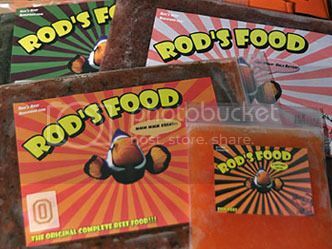 In 2006 I was persuaded to allow other stores to sell "Rod's Food". It was then when ultra fresh - human grade seafood blends were introduced to the hobby. What other hobbies/interests do you have outside of the saltwater hobby? A few spine surgeries keeps me from being too physical, but I like to trail walk/hike with/kayak with the person that has stood next to me for 23 years - Meredith, and my best friend (dog) - Charlie, who stays with me pretty much 24/7. I also have a few guitars I toy with, and a great theater room that I built. Thanks Rod for taking the time to share your interesting story. Be sure to continue to support our sponsors and get some more Rod's food. Check your LFS to see if they have Rod's food. I know locally Upscales and The Premium Aquarium carry it. If they don't carry it, ask if they would! Such a cool story behind the food, really enjoyed this read. I agree! I have learned a lot in just doing these two write ups. It is amazing how so many of these people just started out in their garage and have ended up with national companies! Gives me hope that it could happen to me. Thanks for the spotlight :-). Things like this make it a pleasure to support your club! You're very welcome Rod! Thanks for taking time out of your busy day to share your story and thanks for all the years you have supported this club! I switch between original and herbivore and all 14 of my fish go nuts for it. Never had anyone turn it down. Love the stuff and will keep using it for sure! Rod's rules. Great for fish, great for coral. Love Rods food! Been using it for years. Can't wait for my juvies to get big enough to eat the regular blend. Great stuff! Rod is a great down to earth guy too. It's such a rarity these days that when you send an email to a big company you get the owner directly. Who's carrying this locally now? Just Upscales? I know both Premium Aquariiums do. I'm not sure about I'm the Portland area. Does anyone know of a shop that carries this in or close to Vancouver?